The Big Story this week, and we mean BIG, is the purchase of the Erwin Hymer Group of Europe and North America by Thor Industries, which already is the biggest RV company in North America. By making this purchase, which also includes the sale of Roadtrek Motorhomes, Thor will become the biggest RV company in the world, with more than 24 separate RV brands. In this week’s News of the Week segment, I’ll talk about this massive $2.45 billion deal and explain what this means to the RV community as a whole and especially those who own Roadtrek or Hymer of North America models. Also this week… we have lots more news, your questions, lots of apps to suggest that will help with your road trips and a great off the beaten path report. Before we get going let me offer this programming note. The “You are Never Too Old” segment about RVing that I had promised in our newsletter and Sunday night in our Ask Us Anything RV Lifestyle broadcast on YouTube won’t be airing this week. The magnitude of the Thor plan to purchase Roadtrek’s parent company is breaking news that we need to devote an extended period of time discussion. But never fear, that segment and interview with an 87 year old RVer will be coming in just a couple of weeks. We’ll get to the Thor/Hymer deal in our News of the Week segment in a few minutes, so stick around for that. Meanwhile, we’re just back from the Hershey RV Show, known as America’s Largest. We’ll have a full video on it Thursday. It was so great to meet so many of our fans and followers. We felt like celebrities there! Everywhere we went people were recognizing us and sharing their love of the RV Lifestyle. We were overwhelmed with the kid words and encouragement and had a ball meeting so many people. I had Mike video many of them so they can share their excitement about this lifestyle and inspire our entire audience. But it was a great show. They had just under 60,000 in attendance that week and we walked miles looking at new RVs. The show occupied more than three football fields and had over 1,400 new RVs of every shape, size and form on display. Next, we head to Elkhart, Indiana, the RV Capital of America. In fact, next week’s podcast will come from there. We will be attending RV Dealer Open House. It’s not open to the public but to RV dealers and sales people. All the major RV manufacturers have displays there and many use the Elkhart event to introduce new products and innovations. Thus, it’s become a major event for the industry, so we need to be there, too, and will be reporting it for you. A couple of Episodes back, Episode 208, we talked about how the RV Lifestyle can NOT be healthy for us because we often sit too much and eat too much. Mike interviewed a weight loss expert and decided then and there to go on a healthy eating program. He’s sharing his progress at 7PM every Sunday night on our Ask Us Anything live broadcast on YouTube. But since that healthy eating program started on this podcast, I think Mike should give a short progress report right now. Well, it’s been very good. I am down 11 pounds from what I was when we recorded that segment two weeks ago. This a very easy program, consisting of lean, organic program and limiting sugars and carbs. We were a little worried how it would be sticking to it on the road and since I started, we did our Roadtreking gathering at Algonquin Provincial Park up in Canada and the Hershey RV show in Pennsylvania last week. And because we had our own kitchen with us at both events, it was easy to do our own meal prep and then be sure I was eating properly. That is so true. Instead of fast food at the RV show, we just went out to our RV in the parking lot, turned on the AC and I was able to fix everything. I don’t know what we would have done of we didn’t have our Roadtrek with us because most restaurants use sugar and heap on the carbs and it’s very hard to eat correctly on the road unless you make your own food. To see our Rad Power Bikes in action, just click here. This is a huge RV industry story and it is breaking today as we record this Podcast, though we’ve been reporting on the possibility for several weeks now. Thor Industries Inc., based in Elkhart, IN, and the shareholders of Erwin Hymer Group SE. based in Germany, announced that they have entered into a definitive agreement for Thor to acquire Erwin Hymer Group, a privately held European-based international company, for an enterprise value of approximately $2.45 billion. Hymer bought Roadtrek Motorhomes about two-and-a-half years ago and launched the Erwin Hymer Group of North American as a separate company that now builds Roadtreks and Hymer-branded Class B campervans and ultra-lightweight towable trailers. In terms of RV world impact, acquisition will make Thor the world’s largest RV manufacturer, with the leading position in both North America and Europe and establishes a global sales and production footprint for the company that is absolutely immense in scope. Consider this, Thor owns the following 18 well-known brands: Airstream; Entegra Coach; Heartland RV; Jayco RV; Bison Coach, Crossroads Fifth Wheels, Cruiser Towables, high end DRV Fifth Wheels; Dutchmen which in turn builds the Aerolite, Aspen Trail, Coleman, Denali, Dutchmen, Kodiak, Razorback, Rubicon, and Voltage trailers and RVs; Highland Ridge Fifth Wheels and towables; Keystone RVs; and K-Z towables. Now you can add to that the associated Roadtrek Motorhome and Hymer brands, which also includes Sunlight, Carado, Eriba and more. So, what does this mean to current Roadtrek or Hymer customers, or those who have been considering buying one of their brands? Nothing. Things will go on just as they have. The same people will lead those companies, including Jim Hammill, the CEO of Roadtrek and the Erwin Hymer Group of North America, who is very well known to the RV community of North America for his accessibility and his involvement in the RV Lifestyle Community. Jim told me by email and in a letter sent to customers that he thinks this a great situation for Roadtrek and Hymer of North America. Specifically, he talked about Thor’s decentralized. entrepreneurial business model, which has been the hallmark of Jim’s personal leadership style. It has been widely known for a couple of months that the Hymer family members were open to selling the company and had several suitors, including Thor. And according to Bob Martin the Thor CEO, who did a conference call yesterday with investors, one of the key factors in the decision to sell by the Hymer family in Europe was the way Thor had handled the acquisition of Jayco, another huge RV company they bought a couple of years ago. Martin stressed that like its North American-based subsidiaries, Hymer would operate autonomously with its management team. Thor says going forward, once the deal is finalized, there will be sharing of best practices among all the Thor properties including Roadtrek and the Hymer North American operation, in such things as production methods and streamlined operations that will provide major benefits in design, engineering and manufacturing excellence. Bottom line here: What does that mean for people who own a Roadtrek or Hymer product or have one ordered or are planning to do so. I have spent a lot of time talking to my Roadtrek and Hymer sources on and off the record and the answer to that question is that nothing will change in day to day operations. The six-year warranties from Roadtrek will continue. New models will keep being made and dealers and customers will be getting everything they have ordered. Consumers should see absolutely no change and, if anything, faster production, continued innovation, new models and styles. I’ve already said existing top management will stay in place. There will be no plant closings or job cuts. In fact just the opposite. Roadtrek and the North American Hymer brand will continue to grow with new products, new innovations and new lines. All right, now on to more. Animals were sure making a lot of news this week! If you are anywhere near Ontario's Point Pelee National Park between now and mid-October, be sure to stop by to see thousands of monarch butterflies as they stop on their way to Mexico. The Canadian park is on a strip of land that reaches into Lake Erie and is a favorite resting spot for migrating birds. But what makes it truly unique this time of year are the monarch butterflies which descend by the thousands, often waiting on this last bit of land for the weather to be just right before they take off over the water. To learn more and see pictures click here or here. Did you see the pictures of the blindfolded and bound mountain goats dangling through the air while being airlifted by helicopter from Washington's Olympic National Park? It was quite the sight. The mountain goats were brought to Olympic in the 1920s and are not a native species. They've become quite a problem, destroying the vegetation and ecosystem. And they've become aggressive towards humans, goring a man to death in 2010. The goats are native to the North Cascades, about 100 miles away. So plans have been in the works for years to transfer several hundred of them there. The plan started last week and it included airlifts. To read more click here or here. Officials with the Oregon Department of Fish and Wildlife are waiting for test results to see if a cougar shot last weekend was the same cougar who killed a woman hiking in the state's Mount Hood National Forest. Cougar attacks are very rare and last week's death was believed to be the first cougar caused death in the state. To read more about what happened, and what you should do if you come across a cougar while on the trails, click here or here. Another story about people getting too close to wildlife came out of Yellowstone National Park last week. This time two bull elk were sparing, and a crowd formed to watch. One of the bulls seemed to be concerned his cows were separated from him, so he ran through the crowd, charging one of the men watching, to get to his cows. The man did not appear to be seriously injured. Yellowstone officials require people to stay 25 feet away from large animals, like elk, and 100 feet away from animals like bears. To read more click here or here. A listener asks about how we use a dog seat belt for Bo. Here are my favorite apps for traveling. MyRadar – This is hands down the best weather app you can find to see what weather is coming your way, to track storms with high def radar, to get NOAA weather alerts. This is an extremely fast way to get an overall at-a-glance check at potential radar precipitation headed your way. It’s free and works on all platforms. Accuweather – This is my favorite for checking weather forecasts. Set whatever location you want and it gives you the forecast. Also free and for all platforms. Waze – I use this for keeping track of driving conditions, accidents, road construction, traffic jams, etc. on my route. It is very current, crowd-sourced by other drivers in whatever area you are traveling through who share real-time traffic and road info. 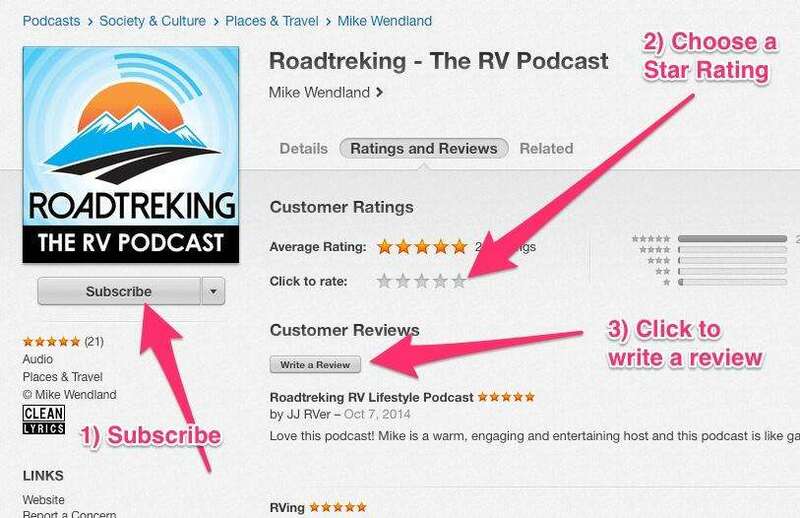 If you want a bunch more recommendations, check out this review of road trip apps. Summer's just about over, students are back in school, football season is in full swing. But let's not forget it's an exciting time for new tech with some hot new devices released for your enjoyment. So let's dial into Verizon's latest and greatest phones. First there's the Moto Z3 by Motorola, also known as the world's first 5G upgradeable smartphone. The Moto Z3 will be the first phone to run on Verizon’s 5G network when paired with the 5G Moto Mod — the mod set for release at a later date. With up to 10 times the speed of today’s technology, you won't have to worry about live-streaming sports or downloading movies. Not to mention, the Moto Z3 is compatible with previous mod attachements, such as the Insta-Share Projector and the JBL speaker mods. If you're all about taking notes with your phone, how about Samsung's Galaxy Note9. The Note9’s new S-Pen boasts improved accuracy for taking notes and Bluetooth functionality, allowing you to remotely control and listen to audio recordings or your favorite jams. The device’s upgraded dual aperture system and improved battery life will allow users to capture the best photos and videos in any situation without having to worry about a total loss of power. Of course, we couldn't forget our friends at Apple with the recent release of the I-Phone XS and the I-Phone XS Max. featuring 5.8-inch and 6.5-inch Super Retina displays with 60 percent greater dynamic range in HDR photos. The XS and the XS Max bring an improved dual camera system, an A12 Bionic chip with next-generation Neural Engine, faster Face ID, wider stereo sound, longer battery life, and splash and water resistance. Both i-phones will be available in stores starting September 21st. For more information on these or more great devices, head to verizonwireless.com. With this week's traveling technology tip, I'm Andy Choi with Verizon. We'd enjoyed an overnight and a visit with family in Bloomington, Indiana and were heading out of town. Bloomington, a bit south of Indianapolis, is home to Indiana University and, as college towns often do, boasts some great food and some unusual attractions. Not for us, though, as we had our GPS set for Evansville on the Ohio River. Passing through a nondescript residential area, we noticed a small sign that caused us to turn around and head down a side road. A mile or two along we turned in at the entrance to the Tibetan Mongolian Buddhist Cultural Center. The first thing we encountered along the drive was a stupa. We, of course, didn't know what it was until we'd looked at a map and read a description. On the grounds, there are two of these brilliant white structures roofed in gold. On contains a beautiful Buddhist sand art mandala protected under glass. Another building houses a set of Tibetan prayer wheels–cast bronze cylinders mounted on rods which allow them to rotate at a touch. Practitioners walk along one side of this row and down the other, spinning each wheel and making a prayer. Across a lawn is the monastery, where we found the saffron-clad monks and a number of guests attending a study group led from an Ipad by a leader who was being skyped in from far away. A monk was stationed just inside the door to greet visitors. “Feel free to go on in,” he said, noticing we were reticent because of our late arrival, “the wisdom isn't only at the beginning of the lesson. Walking down the road we came to the Happy Yak gift shop and cultural museum. The museum was mostly an illustrated history covering three walls of a large meeting room, but there was an impressive library covering one wall, and a large display of intricate butter art. These works, traditionally made from yak butter mixed with flour, have a limited lifespan. Like the sand mandalas, the spiritual value is in the creation, not the viewing. In the gift shop I purchased a colorful woven cord to use for a fan pull at home. As I left the shop, I was engaged in conversation by a monk, who eventually asked if he could hold the cord. He closed his eyes and, after a few moments, handed it back. “I've prayed that the room in which this hangs should be full of enlightenment and harmony,” he told me. That certainly seemed the vibe of this beautiful, colorful, peaceful place. Opened in 1979 by a retired Indiana University professor, it aims to promote understanding of this far away, exotic culture. It's become nearly a truism of our travels. See a sign, spend half a day doing something you never expected to do. We encourage you to include enough time in your schedule to allow for surprises. A plan is good. Sometimes a busted plan is even better. RV Podcast #208: Is the RV Lifestyle Making You Fat? I was upset to learn that the Thor takeover has actually happened, Thor has a well-established reputation for producing and selling crap (to use a more-acceptable word). I know that Jim Hammill has said that the company will continue to operate as before, but whoever owns the company sets the budget, and lower budgets mean lower quality. We will see how things progress from this point. But right now I am glad I own an older, well-built Roadtrek. I hope Roadtrek is able to maintain its stellar engineering and quality.